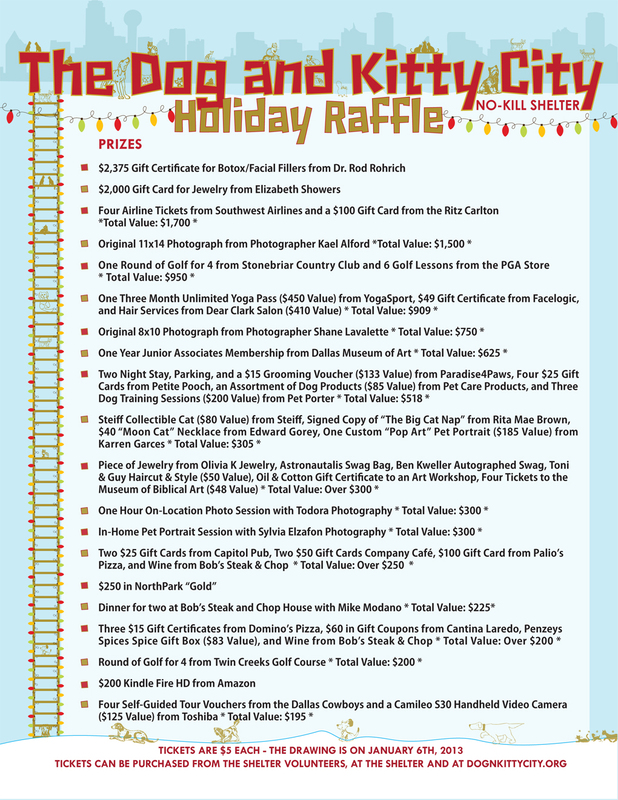 The Humane Society of Dallas County Holiday Raffle has begun, and we have great prizes! BUY TICKETS NOW! Please click "read more" to see the entire prize list.